We do hope that the wait for the iPhone 7 is almost over. A lot of people may be asking ‘when does the new iPhone come out?’ We have faith that the new announcement of the iPhone 7 is just around the corner. That Apple has managed to decide on some ideas. Also that they’re ready to present them to us. That Tim Cook will rise up upon that stage and tell us how the new iPhone will look, what its features will be, and how it will compete against the current versions of the iPhone 6. Of course, it will be better than the iPhone 6, but just how much remains to be seen. As the buildup quietly smolders on to the point of exploding, we’re here with a few hints as to how the new flagship device will be. We know they’re rumors, but at this point, they are almost confirmed. And we know from the experience with Apple iPhone 6 rumors that they sometimes ring true. We’ve compiled the clearest rumors and are here to present them to you! The world of new iPhone 7 concepts is weird, duly wrong (in some cases), and extremely enthusiastic. 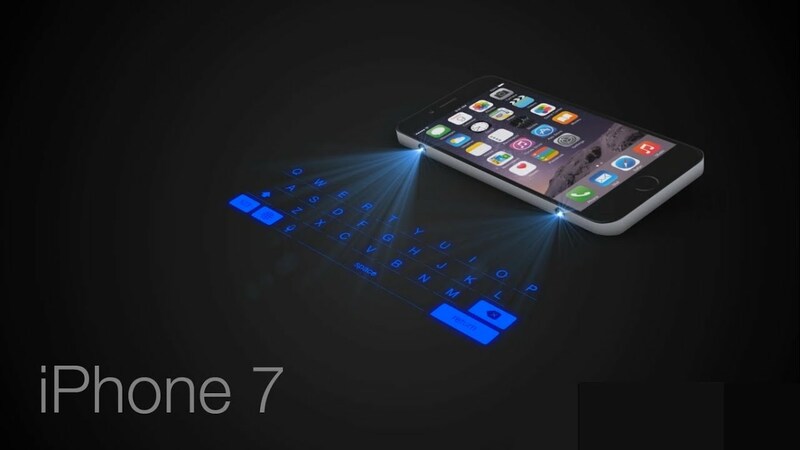 But the rumors surrounding the actual Apple iPhone 7 are far more complicated. It’s quite difficult to sift through all the pompous details and all the unrealistic designs to find something that actually fits the ideas behind Apple’s “flawless” design scheme. But we’ve managed to find a few rumors that are, more than certainly, going to turn out to be true. You heard us right. Of course, you may have already guessed that if you’ve been watching the rumors for those wireless earbuds from Apple. The trick behind this is to release a device that is either thinner or has more room for the battery. The first option would be following the footsteps of the previous iPhones: getting thinner and taller each year. However, this diet may prove unhealthy for Apple. Yet the battery thing does sound promising. Right now, the 3.5mm headphone jack is the thing that takes up the most space in the Apple iPhone. If they removed that, then imagine what else they could put in place! Maybe even more power. What are they going to replace it with, you ask? Well, with the lightning port. And rumor has it that Apple even has an ingenious solution to keep your old headphones useful: adding a lightning to 3.5mm jack adapter in the box of every iPhone 7. An ancient problem ever since the dawn of cell phones: these little devices (not so little anymore) are super vulnerable to water. When I say vulnerable I mean they completely short-circuit once they make contact with water while turned on. Apple hopes to solve all that with many a current iPhone prototype boasting waterproof capabilities. This can be easily done by equipping each individual part of the phone with a hydrophobic coating. Whatever that is. 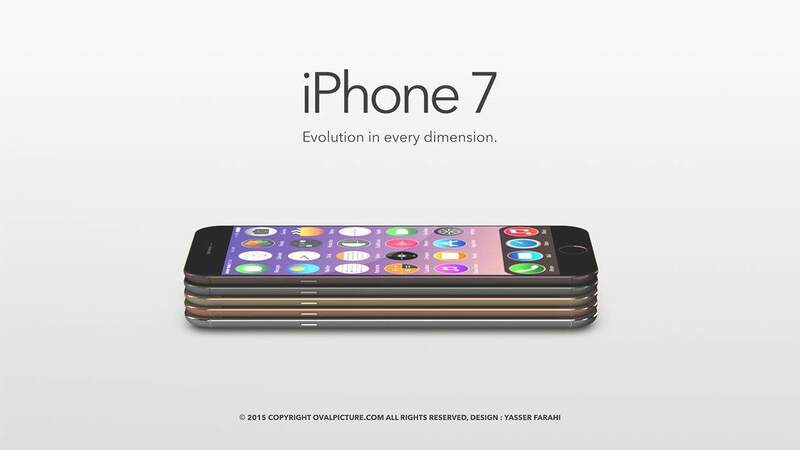 iPhone 7 concept. When will the new iPhone come out? So I guess we’ll have to wait and see. Looking at iPhone 7 concept designs, we notice a lot of cool features, but it’s really hard to say for sure which of these will be a reality. When is the new iPhone coming out? I wish I could tell you. Will the iPhone 7 be any bit as interesting as the hype stirred around it? With the current almost confirmed rumors, it may well be better received than the iPhone 6. Especially if Apple decide to feature some of those neat wireless earbuds in the box.